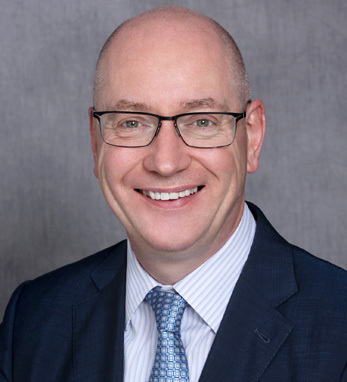 As CEO of Adare Pharmaceuticals since 2015, John Fraher has grown the organization to over 600 people across four countries, directing the company’s mission to provide product solutions for patients whose needs are not being fully addressed by current treatments, while also growing its pipeline, R&D, and manufacturing capabilities. This year, he was named EY’s Entrepreneur of the Year in the category of life sciences, New Jersey. Prior to his appointment as CEO of Adare after Aptalis Pharmaceutical Technologies was acquired by TPG in 2015, John was president of Aptalis, and before that held a number of executive positions with the company’s previous title, Eurand. A native Irishman, John hails from Dungarvan, County Waterford, the county in which both his parents were also born. His father, Edmond Fraher, came from Ballinamult, and his mother, Hannah Flynn, from Scart. John holds a degree in biochemistry from University College Dublin. Asked what his nationality means to him, John’s answer is succinct: “It’s made me who I am.” He currently lives in Pennsylvania with his wife Monica and daughter Meghan.